Analysis by the Ulster Farmers’ Union puts the figure at over £700,000 a year, because replacements have to be bought when tags are lost. This is down to the poor quality and durability of identification tags currently approved for Northern Ireland, the UFU President, Barclay Bell, said. The UFU believes that the Department of Agriculture, Environment and Rural Affairs (DAERA) needs to look into a metal tag option. There is a solution. The union has urged DAERA to review its policy and to allow a single metal tag as an approved secondary identification. Metal tags are more robust and durable. “This option is already available in Britain under DEFRA. We believe this could halve the number of tags lost,” Bell said. Continuing with poor quality tags is unacceptable, while the introduction of a metal tag option could prove to be a a win-win outcome for both farmers and DAERA, according to the UFU. “Farmers would get a durable tag that cuts the cost and frustration of missing tags, while DAERA would secure improved traceability. “This would benefit everyone in the beef industry. It’s a simple policy change for DAERA. “There’s no need to change legislation. If the will is there, it could be done quickly and without major complications. There is no reason for that not to happen. 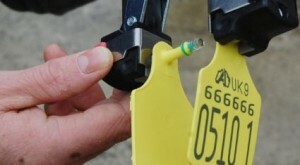 For ten years farmers have voiced their concerns about poor tags and the cost of replacements. We understand the importance of tags and traceability. That goes without saying. “This is not about tagging in the first place, but about the frustration and cost of routinely having to replace poor quality tags. “Our analysis only covers the price of tags – it doesn’t account for time spent rounding up and checking animals, ordering tags and re-tagging. That means the real cost is far higher,” the UFU President added. Analysis by the UFU was carried out off the back of a DAERA-commissioned study, that was undertaken by the Agri-Food and Biosciences Institute (AFBI), to investigate cattle identification tag retention. 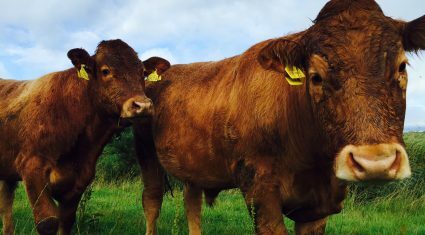 The study, which looked at the tag retention of 379,479 cattle born in 2007, indicated that on average 18% of the cattle had lost at least one identification tag over a six-year period. Following the publication of the study, the UFU requested information from DAERA detailing the number of cattle needing an ear tag replaced and the total number of replacement ear tags ordered per year for 2013, 2014 and 2015. Between 2013 and 2015, each year 11-12% of cattle had at least one ear tag replaced and over the three years 663,000 replacement tags were ordered, the study showed. When calculating the total cost of replacement tags, the UFU used £3.25 (excluding VAT) as the cost of a tag.